Transform Your Whiteboard Into a Game Space! 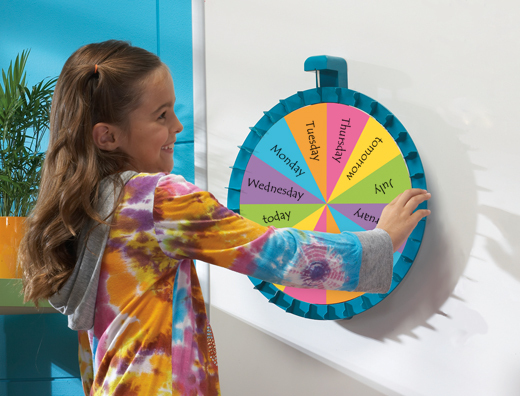 Simply place the spin wheel on your whiteboard, or any metal surface, and use your dry-erase markers to create games and activities. 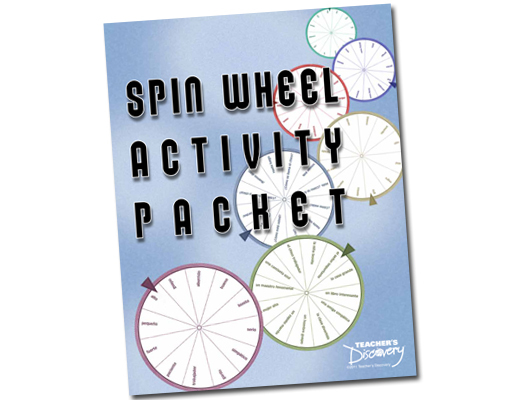 Use it as a classroom management tool and to play subject-specific games — the possibilities are limitless. 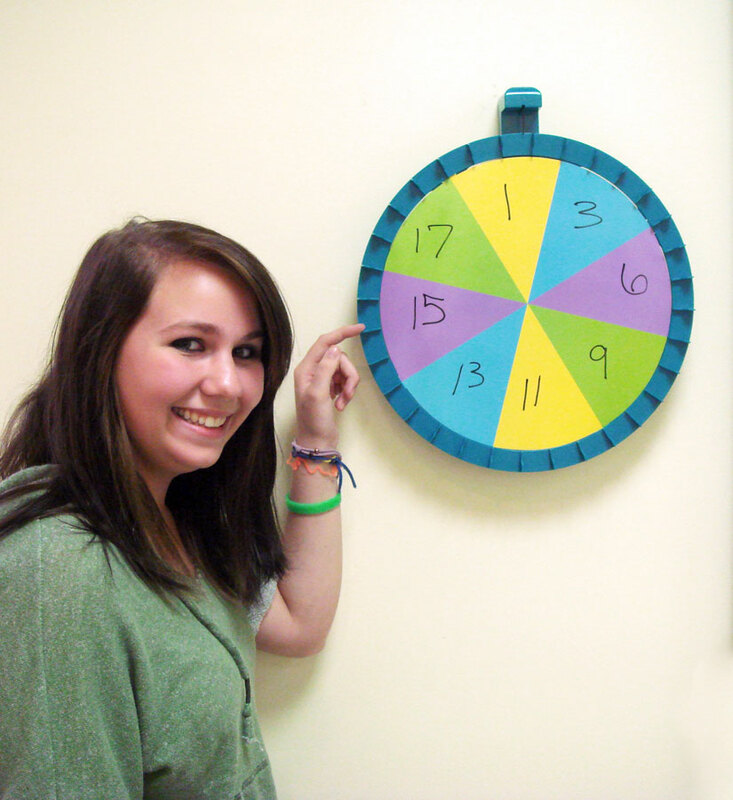 The Magnetic Spin Wheel gets kids on their feet and participating. Includes three double-sided dry-erase cards and a teacher's guide. Size is 16 inches in diameter with heavy-duty magnets. writing on the board) a word that begins with that consonant. on the board using the word family indicated. reads the word and uses it in a sentence. 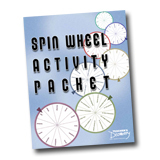 The activity packet contains 55 different ideas for spin wheel use in your class. 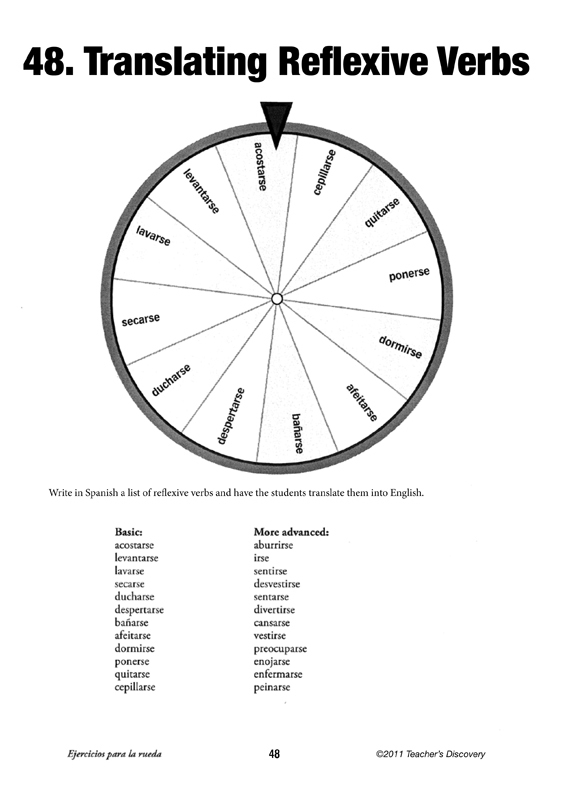 Spanish examples are shown but ideas are appropriate for any language classroom. Reproducible. ©2011.